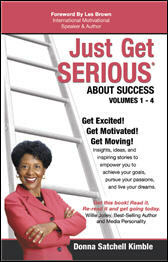 from Donna's book, Just Get Serious About Success. an excerpt from Donna's book about roles we can play in pursuing our dreams that produce little or no results for us. 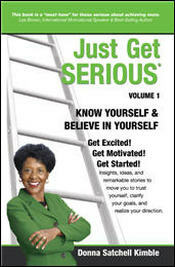 Trina strongly recommends this volume from Donna's success series to her listeners. "Donna gives life-changing strategies on how to believe in yourself. 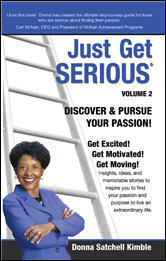 I recommend this book to members of my organization, as well as my personal clients." "Inspiring, insightful, and well-written! I am very impressed. The ideas and stories expressed in this book will certainly be of value to college students and anyone else who reads them."